A versatile, lightweight men’s full zip fleece is an outdoor necessity. Our mid-layer microfleeces and men’s fleece zip up jackets offer instant insulation when you need it the most. Discover our wide selection of men’s full zip fleeces today – the perfect companion to your next outdoor adventure. 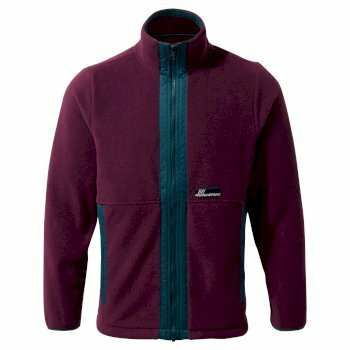 The perfect fit for the outdoor enthusiast, find men’s full zip fleece jackets with insulating technology to lock in heat all year round. Keep warm in the chillier months, and stay protected from summer breezes by the seaside in your own men’s lightweight full zip fleece. 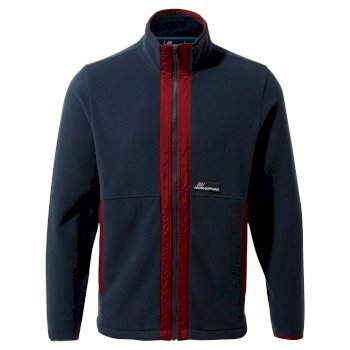 Perfect for wearing on hikes up breezy hills and mountains, windy walks on the beach or layering up to keep insulated in the winter months – your men’s fleece zip up jacketwill become an essential item to your outdoor wardrobe. Whether you’re holidaying by the beach or getting involved in city walking tours, your men’slightweight full zip fleece will be your constant companion for every adventure. With lightweight microfibers designed to keep you warm without overheating, you can easily put your men’s full zip fleece jacket in your backpack, or whip it out when the sun starts shining. Wear your men’s full zip up fleece jacket to keep warm against the calm summer breeze, or team up with one of our men’s insulated jackets and a long sleeve shirt to layer up in the winter months. Utilize that handy layer of insulation by keeping it with you all day in our men’s full zip fleece – you’re protected all day long when you carry any of our lightweight fleeces. Continue browsing through our men’s full zip fleece jacket collection today.